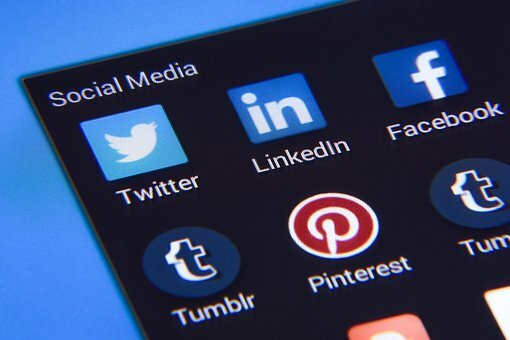 While the significance of social media marketing is accepted by most, many marketers still don’t question the value of social media or its productivity. Social media cannot be only to gain likes, comments and shares. This is certainly not the extent of it. It is not a popularity contest, it can be used to benefits businesses and business owners need to understand the fundamentals of how social media works. Social media increases brand awareness, it makes your business easily recognizable. It gives businesses a platform to introduce new audiences to your products. Just because you got a new business it doesn’t mean people will come flocking to it. If people are unaware, they won’t shop there. Social media is used by millions of people and considering how content is spread across multiple channels, it is the most effective way to promote your brand to potential prospects. Brand recognition is imperative for growth and success. The more people recognize your brand, the more trustworthy and credible it appears, and it influences shopping behaviour. Social media legitimizes your business. It gives your brand legitimacy. When potential customers discover a brand they know nothing about, more often than not they go directly to their social media pages. Many businesses have websites, however, these tend to be static with little changes or updates made to them. Social media pages, on the other hand, are live and active. It takes place in real-time and this helps establish your business as authentic. It reassures buyers that your business is legitimate and buying from you won’t get them into trouble. At the same time, social media done poorly can have the opposite effect. If you want social media to help grow your brand, you need a social media agency to come on-board. The core goal of social media is to increase leads and bring revenue. It is called social media marketing, it is not limited to public relations. How do you direct customers towards sales? You can post images of products or links to product pages, provide benefits, showcase features and tell your customers what they are missing out on if they don’t own your product. Social media gives you the opportunity to improve customer service. You have a real-time platform where you can talk to your customers, listen to them, ask questions, and send out replies, offer tips and advice. Your customers know you are just a click away. Use social media to offer excellent customer service, ensuring your customers always feel like they are heard and they have a voice. Use social media to distribute content. When people find content that intrigues and interest them, they tend to share it. This allows your brand to not just move around in your own demographic, but find audiences outside of your demographic to connect to.